Delicata squash. Acorn squash. The tail end of garlic and tomatoes. We are talking: potatoes! Sugar Pie Pumpkins. Spaghetti squash, kale, chard, broccoli, cauliflower, beets and onions, cranberries and apples. Part and parcel to Halloween, pumpkins are front and center. I like to buy hoards of pumpkins (they store well) and soak up what this season has to offer! 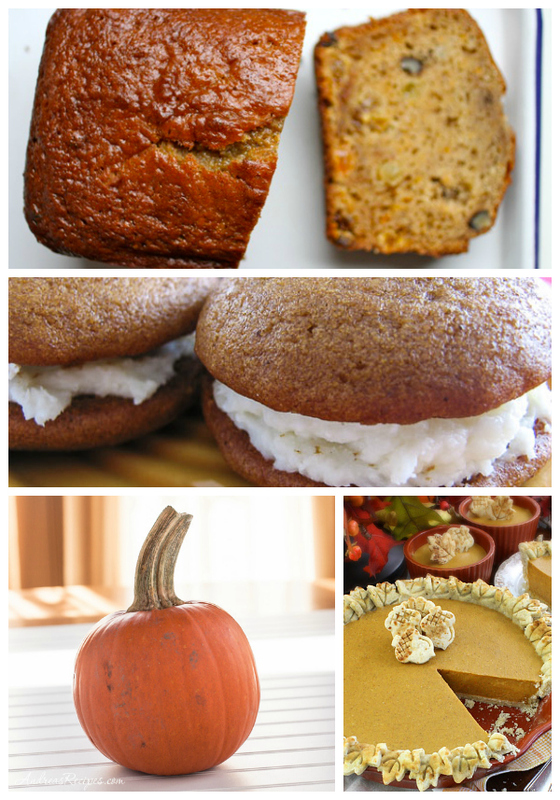 Love this from Andrea's Recipes: how to roast and puree your own pumpkin, plus pumpkin whoopie pies! Farm Fresh Feasts rocks a Pumpkin Mac & Cheese from cookbook MELT (excuse me while I zip over to her house!) - and Foodie Tots showcases a similarly inspired Pumpkin Onion Mac & Cheese. 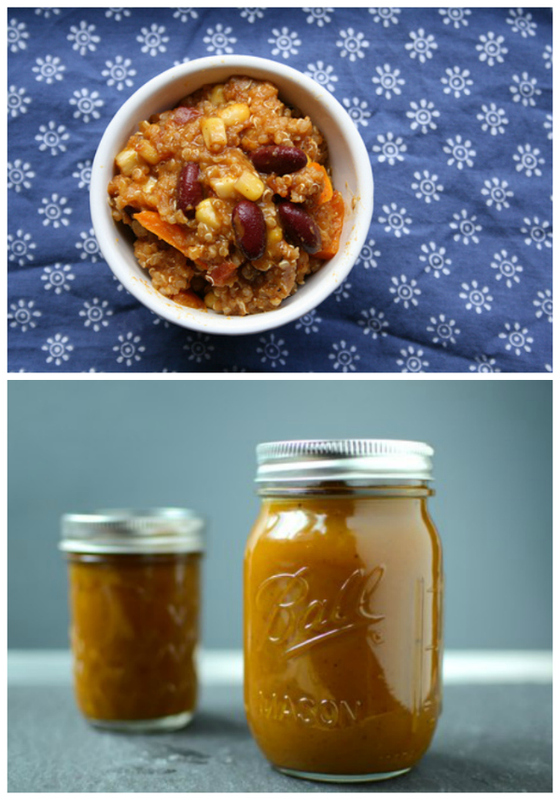 Two fave bloggers come together: Marissa of Food in Jars serves up a guest post - and Maple Sweetened Pumpkin Butter - on Aimee's Simple Bites blog (also includes quick and simple instructions for cooking whole fresh pumpkins to then turn into your own puree!). 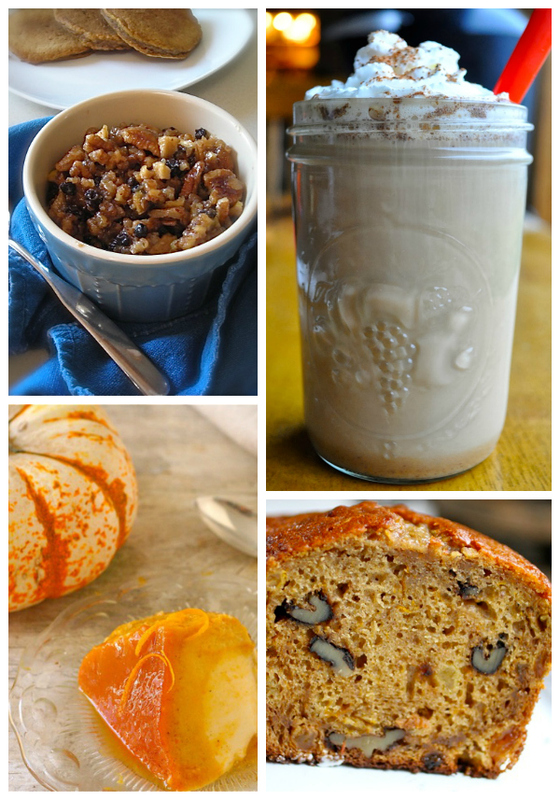 Is it just me or does this have list of pumpkin recipes have 'pumpkin-themed menu' written all over it? Final little unabashed plug: Since I live in Seattle I was able to buy local, sustainable pumpkins right from the farmer - through FARMSTR (beta in SEA) - an online marketplace where consumers can search for local farmers and directly buy quality farm food.